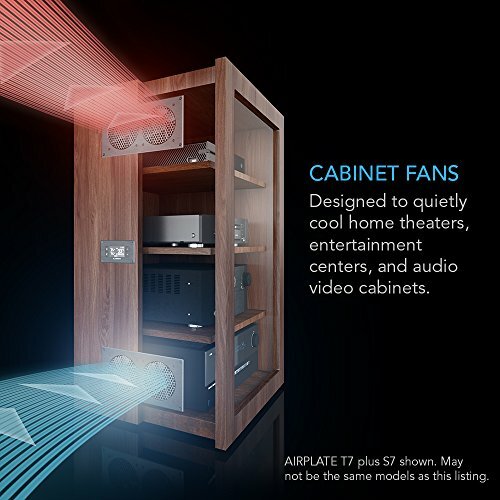 The ultra-quiet dual-fan system is designed to cool home theaters, entertainment centers, and audio video cabinets. 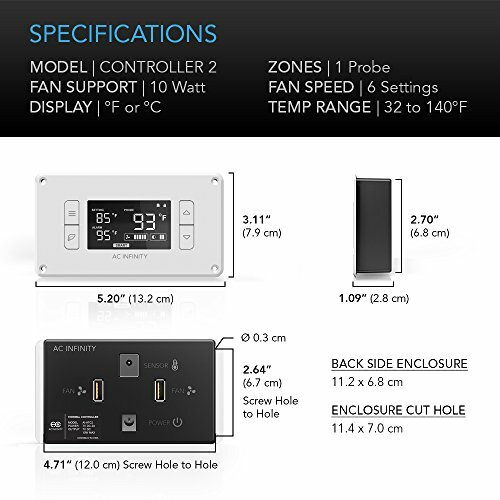 This kit includes two single fan units, one exhaust and one intake; plus a thermal controller. 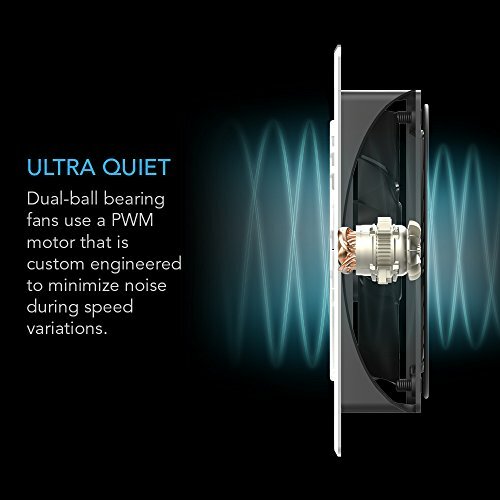 Each fan uses a custom motor engineered to minimize noise during speed variations and are certified by CE and RoHS. Containing dual ball bearings rated at 67,000 hours, the unit can be mounted in any direction. 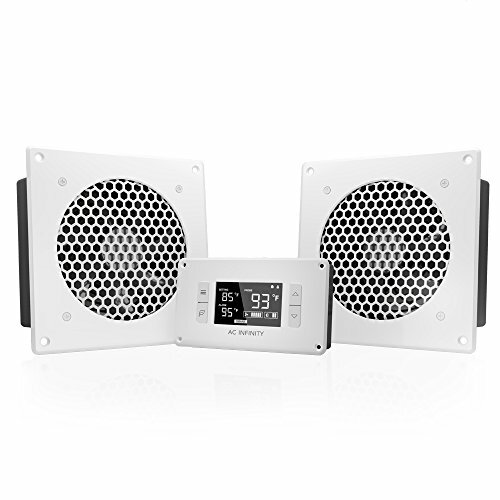 Features a CNC machined aluminum frame finished with matte-white powder coat paint. Fans are set to exhaust air out the frame but this can be reversed to intake air using a screw driver. 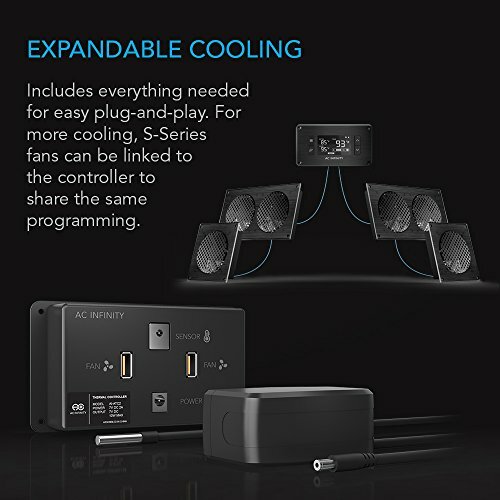 Includes all necessary hardware to easily mount the unit onto a cabinet and power it through a standard wall outlet. 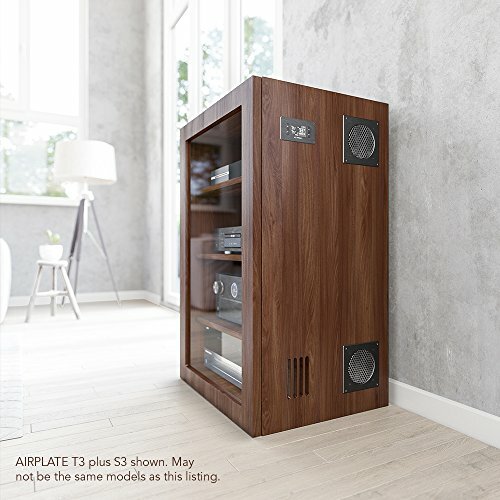 The thermal controller features an on-board processor that provides a digital read-out of the cabinet’s temperatures. 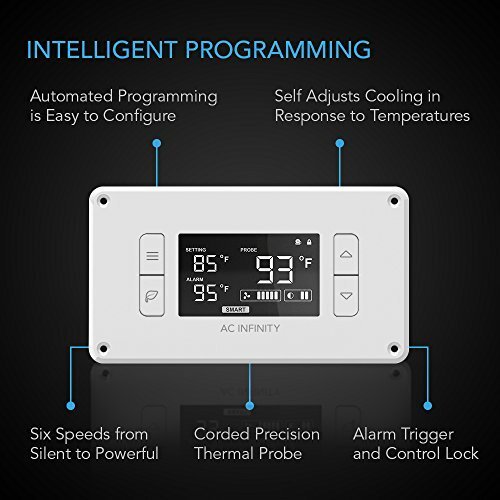 Programming includes an easy-to-use thermostat mode, fan speed control, and a SMART mode that automatically adjusts the fan’s speed to react to surrounding temperatures. Includes a back-lit LCD display with back up memory to recover your settings during power failures. 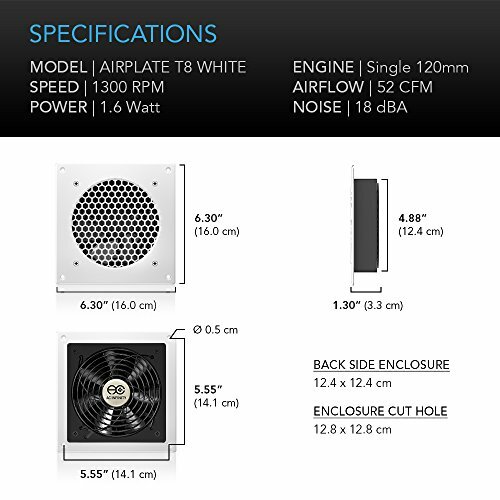 Two fan units with controller, containing CNC machined aluminum frames with a modern matte-white finish.